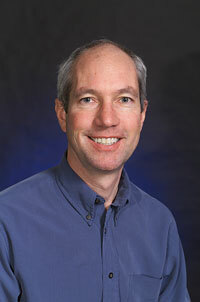 Congratulations to Dr. Wayne Hess at Pacific Northwest National Laboratory on being named an American Physical Society Fellow. The APS, founded in 1899, is a leading international voice for physics, including chemical physics. Hess distinguished himself for outstanding research contributing to understanding the dynamics and reactions of electronically excited crystalline solids and laser desorption of atoms and molecules. Specifically, he is known for detailed characterizations of the photoreactivity of solids and interfaces in processes relevant to catalysis, photochemistry, and nanoscience. This work was accomplished in collaboration with condensed matter theorists at University College London and PNNL. More recently, Hess and his research team have studied plasmonic nanoparticles and novel photocathode materials using electron and optical microscopies. The field of plasmonics has broad applications that include ultrasensitive chemical detection, photovoltaics, and photothermal cancer therapy. The photocathode materials research is supported by the Chemical Imaging Initiative and is designed to impact next generation light source development and further ultrafast transmission electron microscopy. Hess regularly mentors post-doctoral fellows and college students, working to engage them in collaborative efforts between theory and experimentation. He publishes extensively, having authored or co-authored more than 90 journal articles. Congratulations also to Hongfei Wang at PNNL also was named an APS Fellow.